Can I use MasterCard to play at online casinos? Money can’t buy everything, but for online blackjack titles, MasterCard actually has you covered. We might have rearranged MasterCard’s slogan, but that’s because it is one of the best ways to pay online when playing at an Internet casino, in both safety, security and processing times. 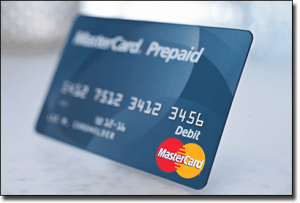 MasterCard, alongside Visa, is one of the most reputable card companies worldwide, and is owned by tens of thousands of financial institutions globally. Its popularity is so immense, it’s understandable why most online casinos accept MasterCard as a primary payment method for when a player wants to make a deposit. Financial institutions issue debit, and credit cards, while some institutions as well as retail outlets, such as Woolworths, issue pre-paid cards by MasterCard. Credit cards are great if you wish to play now and plan to pay later, but they also present the danger of going into debt you can’t afford. When depositing using MasterCard, it is imperative that responsible gambling practices are used, that you bet within your means and set yourself financial limits prior to playing. Doing so with a MasterCard credit card is no exception. You can also play real money online blackjack with MasterCard for an instantaneous transactions – a very handy feature almost always guaranteed when using MasterCard credit to deposit funds. There are no fees via reputable online casinos when using this method, but there may be with your bank. For example, some banks that issue MasterCard credit cards state that there will be fees for transactions made on gambling. Ensure to read the policy of your MasterCard’s issuer to avoid any unwanted fees – this issue applies to debit cards too. Debit cards are very similar to credit cards and MasterCard doesn’t stray from this characteristic. They feature the same information on the front of the card and when using this method to transfer funds it is extremely quick just like using credit cards for casino banking deposits. However, the main difference between the two is that if you have insufficient funds on your MasterCard debit card you won’t be able to play. This is a great feature for those who don’t keep an eye on how much they are spending when playing blackjack, but this can also be detrimental as some banks charge a fee if the transaction is made and there isn’t enough money in the bank account. Once again, reading your bank’s terms and conditions rather than MasterCard’s policy will help you avoid this. If you can’t get your hands on a credit or debit card due to a bad credit rating or you prefer to avoid the potential risks of gambling with a line of credit, MasterCard have a pre-paid option where you purchase a card, that looks similar to a debit and credit card, and you load it with as much you want. You can load these via cash, or even with your debit and credit card if you use a different company such as American Express. You can also access how much you have left on the card over the Internet but once MasterCard pre-paid cards are loaded, they can’t be loaded again. Most leading online casinos accept MasterCard and depositing with any of the above three methods is easy to do so you can get playing blackjack quickly. Regardless of whether you are playing via the Flash instant mode or on downloadable software, you can still deposit and withdraw using MasterCard. For two of the best MasterCard online casinos, we like Royal Vegas and Casino-Mate. Royal Vegas is a good option for a large number of variations of blackjack. Make your first deposit with MasterCard to play blackjack at Royal Vegas and you can have access to $1,200 with their welcome bonus. There are three steps with the first bonus matching up to 100% of your deposit and once you have first entered your MasterCard debit or credit card you information is stored securely with the casino to make the second, third, fourth, and so on, deposits easier. You will have to re-enter your information for pre-paid however. Casino-Mate has a $1,400 welcome bonus that can be easily retrieved via MasterCard deposits. All you have to do is make four deposits, which can be done via MasterCard credit, debit, and prepaid and you get the bonus along with an extra 30 free spins. Although they aren’t useful when playing blackjack, the deposit bonuses will. Both online gaming establishments accept other payment methods which still allow you to retrieve the welcome bonus too. Is depositing online secure with MasterCard? MasterCard is accepted worldwide for numerous transactions both online and off. The only question surrounding security would be regarding the online casinos, so always do your research. The Internet casinos we recommend use 128-SLL software which ensures each MasterCard transaction is safe and secure.